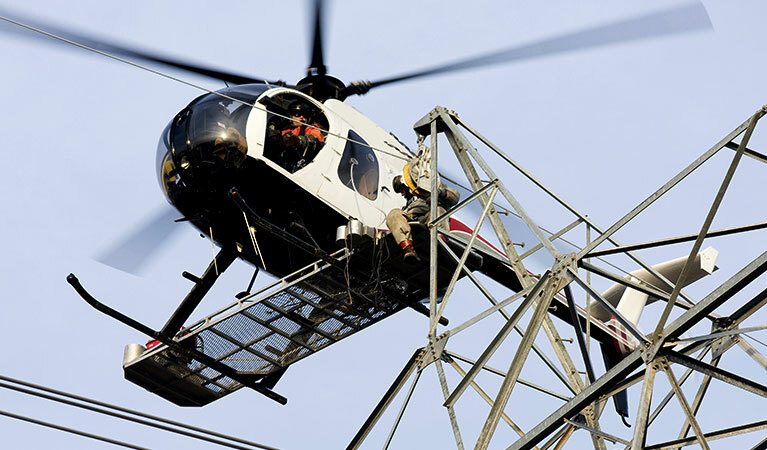 The use of helicopters in the construction of transmission towers, in the stringing of wires and for site inspections and surveys has made the process more effective than ever before. Especially when establishing transmission lines and performing utility services in areas of Vermont that are environmentally fragile, terrestrially challenging, or remote. FairLifts works in conjunction with a network of experienced operators to deliver a fast, accurate and efficient alternative to what was formerly considered standard for the Vermont utility industry. Helicopters are ideal for utility undertakings because they can access areas where terrestrial cranes and over the road vehicles cannot. Thereby decreasing the need for additional ground crews and making the process of constructing transmission towers take a fraction of the time it did in previous years. Smart contractors and utility companies know the wise choice in reserving aerial support for Vermont transmission tower construction is FairLifts. The state of Vermont, which is situated on the westernmost edge of New England, features a varied topography that has been loosely described as rolling and mountainous with large portions of the state considered a remote type of wilderness. The most predominant physiographic element are the Green Mountains which traverse the western edge of the State. Directly West of the Green Mountains is a ternary physical boundary between Vermont and New York state made up of the Hudson River, Lake George and Lake Champlain, respectively. Although the greater part of the state is largely rural in character, small pockets of urban development are on the rise. As recently as February of 2018, the governor of Vermont lobbied for the state of Massachusetts to consider his proponent for a renewable energy contract that could bring $200 million in benefits to the state. The New England Clean Power Link is a proposed high voltage direct current (HVDC) transmission line that would extend from the Canadian border at Alburgh to Ludlow, both of Vermont, across underwater and underground routes. The transmission line's over land portion which extends 56 miles, is expected to be buried within existing public road or railroad ROWs, with the underwater portion, roughly 98 miles in length to be buried within the bed of Lake Champlain. The line will terminate at a converter station in Ludlow, where it will transition from a direct to an alternating current and will then carry on to a New England electrical grid. Helicopter support is vital for Vermont transmission line construction in places where the land stretches for miles and the terrain changes rapidly from one location to the next. Especially in the case of the proposed New England Clean Power Link. Should its construction be approved, the line will require site inspections, transport of materials, checks for ROW compliance, and routine maintenance throughout its forty-year lifespan. The reservation process is made smooth and easy when you book aerial support services for Vermont transmission line construction, site surveys, and utility installation through FairLifts. Agents can coordinate helicopter support via an extensive network of experienced and professional operators situated throughout Vermont. Clients will receive access to an array of aircraft and hardware to get their project completed swiftly, effectively and according to specification. 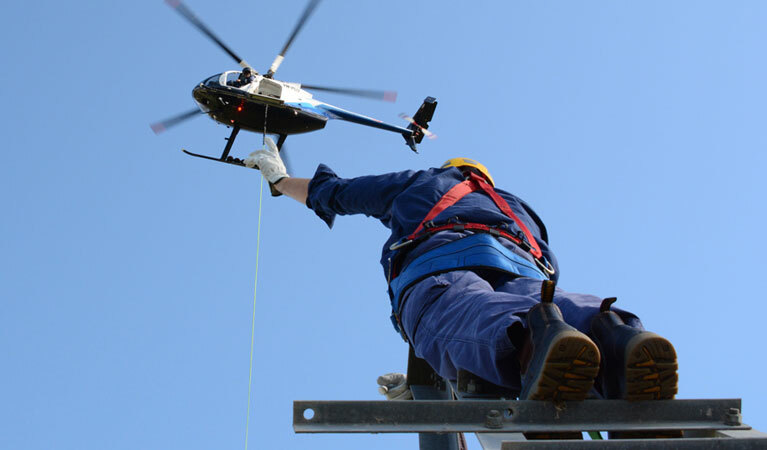 The list of professional services FairLifts can reserve helicopter support for is comprehensive and intended to satisfy the Vermont utility industry’s need for reliable and cost efficient alternatives. Heavy lift applications are often used to move personnel, materials, and hardware to the location of the tower’s installation. Transporting these items via helicopter is more expedient, less intrusive to environmentally fragile regions and the most effective way to get accouterments into higher elevations and to remote destinations. 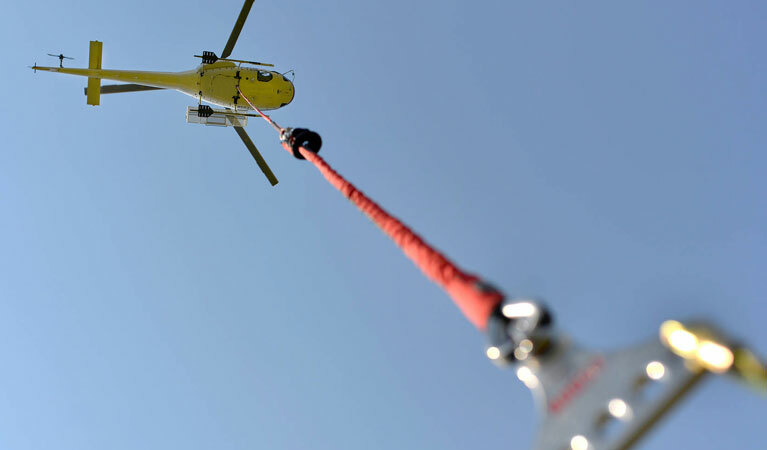 As a result of a helicopter’s inherent capability to powerfully lift and convey thousands of pounds and through the utilization of specialized equipment, various types of impediments can be safely and securely transported to installation sites across Vermont. Experienced linemen and seasoned utility pilots work hand and hand to swiftly and proficiently string wire along miles of transmission lines. Utilizing specialized equipment and a device appropriately named a “needle”, nylon rope can be weaved through transmission towers and can be used in the effective pulling of wire to string utility installations to establish connectivity across the state of Vermont. Helicopters deliver an advantage to wire stringing because of their adaptability making it possible to string hundreds of miles of wire in less than a days time. The setting of utility poles and transporting of tubular steel or concrete used to construct pylons for transmission towers is simplified as a result of helicopter application. In regions where there exists a diversity in land-forms, areas that are environmentally protected or wherein fragile ecosystems are found, aerial applications are ideal because they have little to no negative impact on surrounding environments. On occasion, the need may arise for transmission lines to be strung across marshes, lakes, streams, mountain tops, etc. Prior to the implementation of aerial support, linemen and utility workers on foot and driving terrestrial vehicles inspected areas surrounding towers, ROWs, and power lines. Although they still managed to effectively complete their tasks, it took days, sometimes weeks to cover the area surrounding extensive power grids. A helicopter’s functional capability to hover at lower altitudes, their speed, on-board imaging technologies, and windowed cockpits and cabins deliver a wider more expansive viewpoint, allowing for results to be compiled more expeditiously. Helicopters can safely and securely transport work crews or supplementary linemen to the site of tower installations across Vermont. They can additionally convey senior personnel to installation sites to conduct inspections or site surveys. Helicopters are used widely in logistical transport pursuits because they can easily access destinations which may prove a difficulty for terrestrial vehicles like remote or isolated locations, terrestrially impassable regions and those located offshore. FairLifts’ proven reservation process is straightforward and convenient. 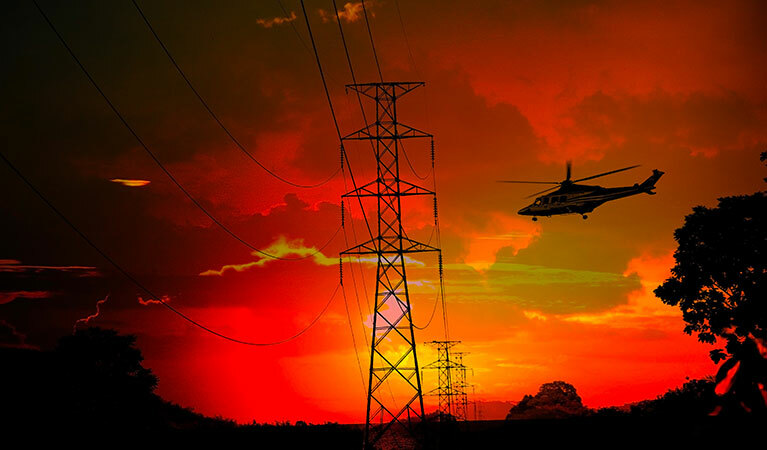 Agents are available 24/7 to coordinate a range of helicopter services for utility companies and contractors in Vermont. Following the initial point of contact, agents will use their expertise in conjunction with the project’s specifications to source the appropriate vendor and/or experienced pilots and crew to complete utility-centric tasks swiftly, accurately and effectively. The first step is to contact FairLifts. Simply complete the contact form found on the corresponding page on our website and agents will respond in less than 24 hours. Clients requiring an immediate response, feel free to call today to start the process.